Stacy Tilton Reviews: Back to School Snacks and Beverages Guide! 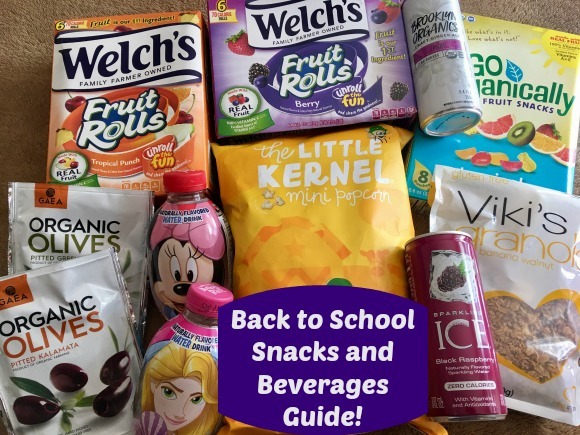 Back to School Snacks and Beverages Guide! The school year is upon us and the need for snacks and beverages is at an all time high! Between school lunches and after school snacks it's time to stock your pantry shelves and refrigerators. 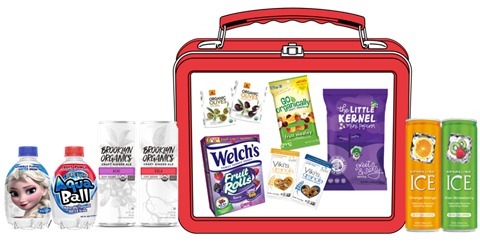 With everything from Fruit Rolls, Miniature Popcorn and Portable Olives, to Organic Ginger Ale and Naturally Flavored Water, we’ve got you covered on snack and beverage essentials! NEW Welch’s Fruit Rolls deliver the same quality consumers love in Welch’s Fruit Snacks, in a new, irresistibly fun format. Featuring fruit as its first ingredient, they come in three mouthwatering flavors: Berry, Tropical Punch, and White Grape Strawberry. Viki’s Granola On-the-Go Packs are made with 100% all natural ingredients, gluten-free and baked with love. With a fresh, soft and chewy texture, Viki's Granola is great to enjoy on its own or with yogurt for a nutritious snack. Gaea Organic Snack Olives are packed in a handy re-sealable package, without liquid, allowing the convenience of snacking now and later. 100% natural, containing zero additives or preservatives and very low salinity, Gaea’s Organic Olives make for a delicious savory snack. Skip the soda by opting for Sparkling Ice’s 8oz. Slim Cans. This slightly carbonated light and refreshing beverage contains Zero Calories, Zero Carbs, is Gluten Free, and is Sodium Free. Brooklyn Organics is the perfect beverage for those looking for a sugar-free drink option. Each contains a bold fizz in a svelte packaging and is USDA Organic-certified, non-GMO, Kosher, Gluten Free and Caffeine Free. AquaBall's naturally flavored water is the only zero-sugar, zero-calorie, zero-preservative children's beverage around. Available in four flavors and featuring fan favorite Disney and Marvel characters, AquaBall is not only fun for kids, but also smart for parents. I absolutely love having The Little Kernel products. I enjoy them. My son is a big fan of Welch’s Fruit Snacks also. I have to agree The Little Kernel is one of my favorite pre-bagged popcorns! And Welch's is a favorite in our house too.